Take a photo of your block. If you don't have an Instagram, a blog or Flickr, I would recommend Pinterest as the best way forward. And if none of these options work for you, you can still email your block. Scroll down for those instructions. A link-up is a way for every one to share a picture of their work for others to see and come comment on your photo. Each week, Elm Street Quilts and Simple Handmade Everyday will each post the exact same link-up. Enter on either blog and your photo will automatically display on both blogs. When you click on the Add your link button, a screen will appear asking you for the URL of the link you are adding. A URL is a web page address. To add you photo, paste the URL (i.e. web page link) from your blog post into the field labeled as 1 in above photo. Click inside the box labeled Link Title. The title of your blog post will automatically be filled in. This will be the text under your photo - change it here if you want. 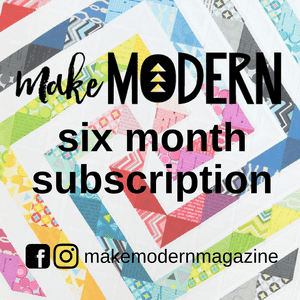 Enter your email address (see 2 in photo above). From the selection of photos in the 'Image source box' (see 3 in photo above), select the photo you want to appear in the link-up. 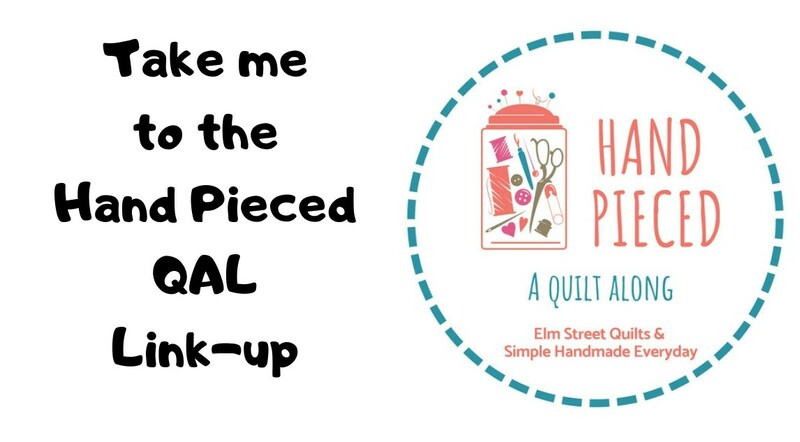 You can now go visit the post on Elm Street Quilts or Simple Handmade Everyday and your block photo will be there! Instagram is a bit different - see this detailed tutorial! Make sure you include the #handpiecedqal in your Instagram post. 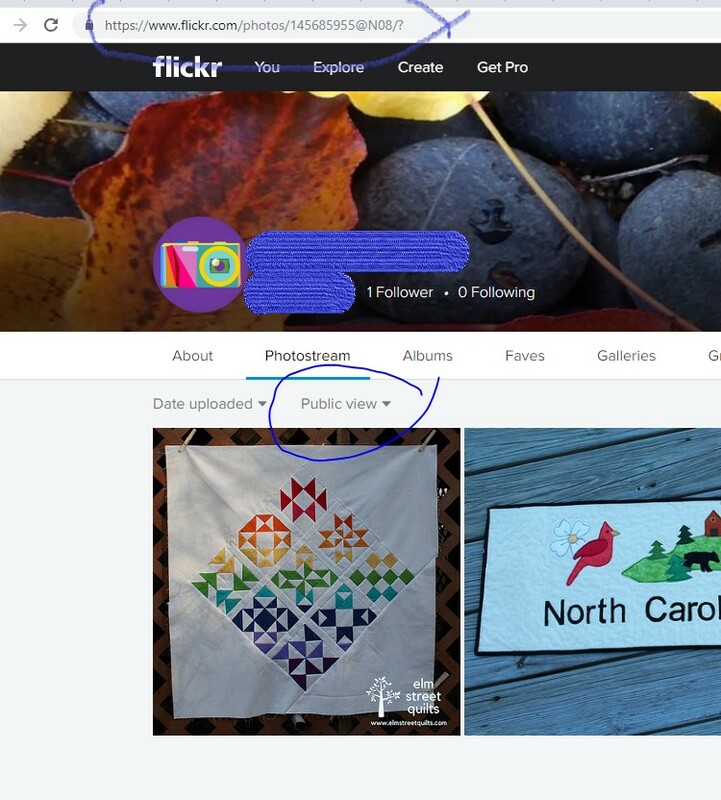 If you don't have a blog, flickr or Instagram account, Pinterest is a great option. You can upload your photo from your computer. 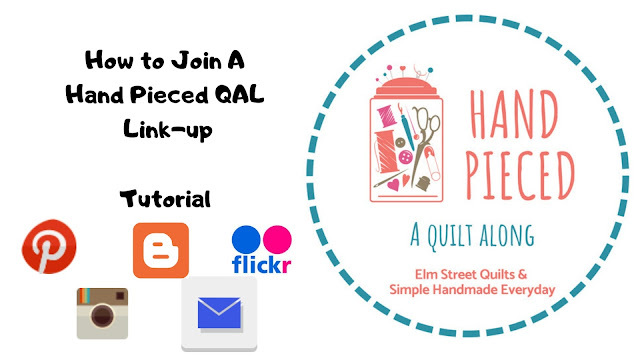 Send an email to handpiecedqal@gmail.com and attach your photo. In the subject line, put the NAME of the Block or the Block number. For example: Block 1, 4 Patch. 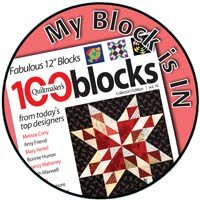 Your block won't be visible to anyone but Kristin and Patty (sadly) but it will be entered into the link-up that is open at the time the email is received. Once you've linked up, you can go back and visit our link-up blog post and see your photo. Click on other photos to go visit and leave comments for everyone! Thank you for all this information and patience. Almost finished with block 3 and hope to post it. Have never done this before so I appreciate your tutorial! Thanks so much.